You can updates and announcements in this section. This section will contain tutorials about coding, graphics, fonts, forums, blogs, websites, etc. This section is only for support for themes that are posted on this forum. You can share links to forums, blogs, or websites that offer support for anything related to the Internet like creating a website, setting up a forum etc. This section contains links for blogs, websites, or forums dealing with different kinds of games. Section entirely dedicated to classifieds to sell, rent, give, barter, ... personal, real or virtual goods. You can blog about anything in this section. You can blog about nature, the weather, history, pets, cars, hobbies. gaming, etc. 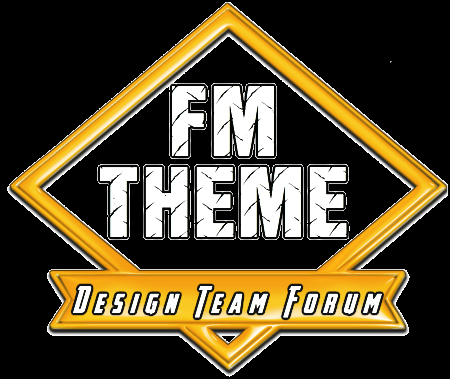 This section contains files for themes for forums hosted by Forumotion. It can include files for special themes, graphics, instructions, etc. This section contains themes for forums hosted by Forumotion. Bohemian Rhapsody and We Will Rock You - while not exactly among my 'favorite' oldies - they were nonetheless good songs. Diana Ross (born March 26, 1944) is an American singer, actress, and record producer. Born and raised in Detroit, Michigan, Ross rose to fame as the lead singer of the vocal group the Supremes, which, during the 1960s, became Motown's most successful act, and are the best charting girl group in US history, as well as one of the world's best-selling girl groups of all time. The group released a record-setting twelve number-one hit singles on the US Billboard Hot 100, including "Where Did Our Love Go", "Baby Love", "Come See About Me", "Stop! In the Name of Love", "You Can't Hurry Love", "You Keep Me Hangin' On", "Love Child", and "Someday We'll Be Together". Following her departure from the Supremes in 1970, Ross released her eponymous debut solo album that same year, featuring the number-one Pop hit "Ain't No Mountain High Enough". She later released the album Touch Me in the Morning in 1973; its title track reached number 1, as her second solo No. 1 hit. She continued a successful solo career through the 1970s, which included hit albums like Mahogany and Diana Ross and their number-one hit singles, "Theme from Mahogany" and "Love Hangover", respectively. Her 1980 album Diana produced another number-one single, "Upside Down", as well as the international hit "I'm Coming Out". Ross' final single with Motown during her initial run with the company achieved her sixth and final US number-one Pop hit, the duet "Endless Love" featuring Lionel Richie, whose solo career was launched with its success. Ross has also ventured into acting, with a Golden Globe Award and Academy Award-nominated performance for her performance in the film Lady Sings the Blues (1972); she recorded its soundtrack, which became a number-one hit. She also starred in two other feature films, Mahogany (1975) and The Wiz (1978), later acting in the television films Out of Darkness (1994), for which she also was nominated for a Golden Globe Award, and Double Platinum (1999). The Supremes were an American female singing group and the premier act of Motown Records during the 1960s. Founded as The Primettes in Detroit, Michigan, in 1959, the Supremes were the most commercially successful of Motown's acts and are, to date, America's most successful vocal group with 12 number one singles on the Billboard Hot 100 Most of these hits were written and produced by Motown's main songwriting and production team, Holland–Dozier–Holland. At their peak in the mid-1960s, the Supremes rivaled the Beatles in worldwide popularity, and it is said that their success made it possible for future African American R&B and soul musicians to find mainstream success. Florence Ballard, Mary Wilson, Diana Ross, and Betty McGlown, the original group, are all from the Brewster-Douglass public housing project in Detroit. They formed the Primettes as the sister act to the Primes (with Paul Williams and Eddie Kendricks, who went on to form the Temptations). Barbara Martin replaced McGlown in 1960, and the group signed with Motown the following year as the Supremes. Martin left the act in early 1962, and Ross, Ballard, and Wilson carried on as a trio. During the mid-1960s, the Supremes achieved mainstream success with Ross as lead singer and Holland-Dozier-Holland as its songwriting and production team. In 1967, Motown president Berry Gordy renamed the group Diana Ross & the Supremes, and replaced Ballard with Cindy Birdsong. Ross left to pursue a solo career in 1970 and was replaced by Jean Terrell, so the group's name reverted to The Supremes. During the mid-1970s, the lineup changed with Lynda Laurence, Scherrie Payne and Susaye Greene joining the group until, after 18 years, The Supremes disbanded in 1977. Poltergeist is a 1982 American supernatural horror film directed by Tobe Hooper and starring JoBeth Williams, Craig T. Nelson, Heather O'Rourke, and Beatrice Straight. Steven Spielberg wrote and produced the film, but a clause in his contract prevented him from directing another movie while he made E.T. the Extra-Terrestrial. Therefore, Hooper was selected to direct based upon his work on The Texas Chain Saw Massacre. First conceived as a dark horror sequel to Close Encounters of the Third Kind entitled Night Skies, when Spielberg approached Hooper to direct, Hooper was less keen on the sci-fi elements and suggested the idea of a ghost story.] Spielberg and Hooper would then go on to collaborate on the first treatment for the film. It is the first and most successful entry in the Poltergeist film series. Set in a California suburb, the plot focuses on a family whose home is invaded by malevolent ghosts that abduct the family's younger daughter. Poltergeist II: The Other Side is a 1986 American supernatural horror film and the second entry in the Poltergeist film series. A sequel to Poltergeist, it features the return of the original family, who are once again confronted by a spirit trying to harm their daughter, Carol Anne. Poltergeist III is a 1988 American supernatural horror film and is the third and final entry in the original Poltergeist film series. Heather O'Rourke and Zelda Rubinstein were the only original cast members to return. O'Rourke died four months before the film was released and before post-production could be completed. It was dedicated to her memory. Fame is a 1980 American teen musical drama film directed by Alan Parker. Set in New York City, it chronicles the lives and hardships of students attending the High School of Performing Arts (known today as Fiorello H. LaGuardia High School), from their auditions to their freshman, sophomore, junior and senior years. Producer David De Silva conceived the premise in 1976, partially inspired by the musical A Chorus Line. He commissioned playwright Christopher Gore to write the script, originally titled Hot Lunch, before selling it to Metro-Goldwyn-Mayer (MGM). After he was hired to direct the film, Parker rewrote the script with Gore, aiming for a darker and dramatic tone. The script's subject matter received criticism by the New York Board of Education, which prevented the production from filming in the actual High School of Performing Arts. The film was shot on location in New York City, with principal photography beginning in July 1979 and concluding after 91 days. Parker encountered a difficult filming process, which included conflicts with U.S. labor unions over various aspects of the film's production. MGM released Fame using a platform technique which involved opening the film in several cities before releasing it nationwide. The film grossed $21.2 million in North America against a production budget of $8.5 million. It received a mixed response from reviewers who praised the music, but criticized the dramatic tone, pacing and direction. The film received several awards and nominations, including two Academy Awards for Best Original Song ("Fame") and Best Original Score, and a Golden Globe Award for Best Original Song ("Fame"). Its success spawned a media franchise encompassing several television series, stage musicals and a remake released in 2009. Living Free is a 1972 British drama film, written by Millard Kaufman and directed by Jack Couffer. It is starred by Nigel Davenport, Susan Hampshire and Geoffrey Keen. This film is a sequel to Born Free, which was based on the book of the same name by Joy Adamson. The film Living Free is also based on a book by Joy Adamson, however, it is not based on the book by the same name but is instead based on the third book in the series, Forever Free. Singer Julie Budd sang the title song, composed by Sol Kaplan and Freddy Douglass. Born Free is a 1966 British drama film starring Virginia McKenna and Bill Travers as Joy and George Adamson, a real-life couple who raised Elsa the Lioness, an orphaned lion cub, to adulthood, and released her into the wilderness of Kenya. The film was produced by Open Road Films Ltd. and Columbia Pictures. The screenplay, written by blacklisted Hollywood writer Lester Cole (under the pseudonym "Gerald L.C. Copley"), was based upon Joy Adamson's 1960 non-fiction book Born Free. The film was directed by James Hill and produced by Sam Jaffe and Paul Radin. Born Free, and its musical score by John Barry, won numerous awards. Carrie is a 1976 American supernatural horror film directed by Brian De Palma from a screenplay written by Lawrence D. Cohen, adapted from Stephen King's 1974 epistolary novel of the same name. The film stars Sissy Spacek as Carrie White, a 16-year-old diffident teenager who is consistently mocked and bullied at school. Her peers are unaware that she possesses telekinetic powers. The film also featured Piper Laurie, Amy Irving, Nancy Allen, William Katt, Betty Buckley, and John Travolta in supporting roles. The film was based on King's first novel by the same name. De Palma was intrigued by the story and pushed for the studio to direct it while Spacek was encouraged by her husband to audition. It is the first of more than 100 film and television productions adapted from, or based on, the published works of King. I really think the movie is more about bullying and mocking then about horror. Styx /stɪks/ is an American rock band from Chicago that formed in 1972 and became famous for its albums released in the late 1970s and early 1980s. They are best known for melding hard rock guitar balanced with acoustic guitar, synthesizers mixed with acoustic piano, upbeat tracks with power ballads, and incorporating elements of international musical theatre.The band established itself with a progressive rock sound in the 1970s, and began to incorporate pop rock and soft rock elements in the 1980s. Journey is an American rock band that formed in San Francisco in 1973, composed of former members of Santana and Frumious Bandersnatch. The band has gone through several phases; its strongest commercial success occurred between 1978 and 1987 when Steve Perry was lead vocalist. During that period, the band released a series of hit songs, including "Don't Stop Believin'" (1981), which in 2009 became the top-selling track in iTunes history among songs not released in the 21st century.] Its parent studio album, Escape, the band's seventh and most successful, reached No. 1 on the Billboard 200 and yielded another of their most popular singles, "Open Arms". Its 1983 follow-up album, Frontiers, was almost as successful in the United States, reaching No. 2 and spawning several successful singles; it broadened the band's appeal in the United Kingdom, where it reached No. 6 on the UK Albums Chart. Journey enjoyed a successful reunion in the mid-1990s and later regrouped with a series of lead singers. Journey was inducted into the Rock and Roll Hall of Fame with the class of 2017. Inductees included lead singer Steve Perry, guitarist Neal Schon, keyboardists Jonathan Cain and Gregg Rolie, bassist Ross Valory, and drummers Aynsley Dunbar and Steve Smith . Dreamgirls is a Broadway musical, with music by Henry Krieger and lyrics and book by Tom Eyen. Based on the show business aspirations and successes of R&B acts such as The Supremes, The Shirelles, James Brown, Jackie Wilson, and others] the musical follows the story of a young female singing trio from Chicago, Illinois called "The Dreams", who become music superstars. Have you seen a live performance? What are your favorite songs? My favorite song is the one above in the video. I have not seen a live performance. Cats is a sung-through musical composed by Andrew Lloyd Webber, based on Old Possum's Book of Practical Cats by T. S. Eliot. The musical tells the story of a tribe of cats called the Jellicles and the night they make what is known as the "Jellicle choice" and decide which cat will ascend to the Heaviside Layer and come back to a new life. I have not seen a live performance. I live these songs: "Memory" and 'Old Deuteronomy'. What are your favorite songs? Have you seen a live performance? Rent is a rock musical with music, lyrics, and book by Jonathan Larson, loosely based on Giacomo Puccini's opera La Bohème. It tells the story of a group of impoverished young artists struggling to survive and create a life in Lower Manhattan's East Village in the thriving days of Bohemian Alphabet City, under the shadow of HIV/AIDS. The musical was first seen in a workshop production at New York Theatre Workshop in 1993. This same Off-Broadway theatre was also the musical's initial home following its official 1996 opening. The show's creator, Jonathan Larson, died suddenly of an aortic dissection, believed to have been caused by undiagnosed Marfan syndrome, the night before the Off-Broadway premiere. The musical moved to Broadway's larger Nederlander Theatre on April 29, 1996. Have you seen a live performance? What songs from the musical are your favorites? I have not seen a live performance, but I like these songs: "One Song Glory", "Will I", "I'll Cover You", "Seasons of Love", "What You Own", "Your Eyes", and "Without You".